Simon Mayo is returning to daily radio with Bauer from 4th March as host of mid mornings on a new classical music station called Scala Radio. The station will be the first national classical station in nearly 30 years and is set to challenge Classic FM. RadioToday understands it will broadcast on the SDL national DAB multiplex, replacing heat Radio. Simon Mayo will host 10am-1pm with celebrity interviews, listener interaction and a new re-imagined ‘Classical Confessions’ feature. Other presenters will include former CBBC host Angellica Bell, Mayo’s 5 live partner Mark Kermode, former LBC newsreader Chris Rogers, ex Radio 2 announcer Charles Nove, Planet Rock’s Sam Hughes and ex Classic FM presenters Mark Forrest and Jamie Crick. There will also be weekend slots for music producers Goldie and William Orbit. 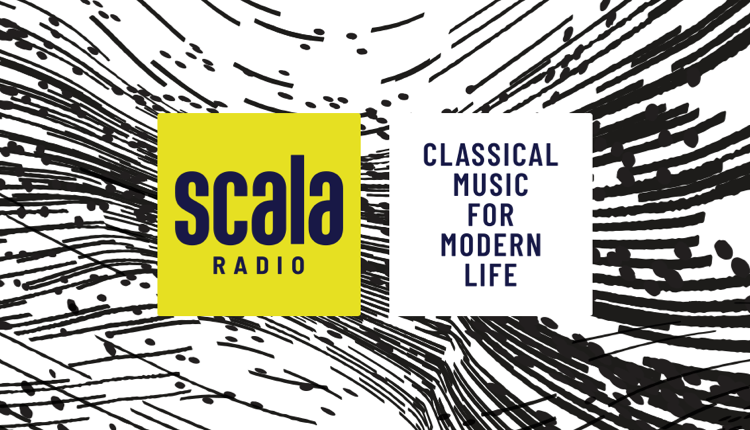 Music played on Scala Radio will range from Mozart and Holst to new works from living composers such as Karl Jenkins, Rebecca Dale, Alexis Ffrench and Jonny Greenwood & Radiohead’s Thom Yorke (Radiohead). The station will also feature film scores and support the arts and musical communities. There will also be topical shows covering the influence of classical music in gaming, mindfulness and special guest weekly round ups. The sound of the station has already been created, with bespoke scores recorded by The City of Prague Philharmonic. There have been rumours for a few weeks that Bauer was up to something with a new station or two to announce – and this is the big one! Simon Mayo was destined for a daily show on commercial radio after announcing his departure from Radio 2 late last year. Gossip suggested Smooth or Virgin could sign him, so his fans and listeners will probably be surprised to learn that it’s a start-up digital-only station playing classical music. Bauer is going in hard against Global’s long-established Classic FM here – and has a few former Classic FM names on the schedule such as Jamie Crick and Mark Forrest. From a standing start it will have a job on its hands to take audience and market share from Classic FM – so Bauer will need a long-term game plan for this one. It looks like the investment in talent and distribution is there, so it’s sure to be an exciting year in the Global-Bauer battle for listeners’ ears! This is interesting. Great that its a different style from all the pop services we’re used to seeing, Wether it’s 80s or 00s. Talking of different styles, although I do not normally listen to local commercial radio, I stumbled on Mellow Magic before Christmas and find myself listening to it mainly at home whilst in the kitchen. Having listened to a plethora of radio stations, online, I came across an easy listening/pop classic music station in Sydney, Australia called 2CH whose format was rather excellent, I thought. Perhaps Mellow Magic would like to imitate them. Looking forward to hearing this. Great to have another classical music station. I hope it’s going to have a decent bitrate in stereo on DAB as opposed to the usual 80kbps mono etc! I agree with you John Watson, sounds good but I hope it’s in stereo at least 112kbps, at present Heat is 80kbps mono, classical music should be heard at its best. Well if its going to be in stereo, there are only two ways it could happen. 1 – Close another service to allow for the capacity. Simon Mayo has already hinted a few days ago that there is more than 1 new station being set up. Now we know what one is, it would be interesting to find out what the other is, if there is another. So going by that logic, it would likely be launched using the latter way. It’s interesting that Bauer and Global are both positioning themselves with directly competing station formats. Their roster of stations is nearly identical these days. Kiss/Capital, Hits/Heart, Absolute/Radio X, Magic/Smooth, Greatest Hits/Gold and now Scala/Classic. So much for variety in the commercial market. The only two without direct competitors is LBC and Jazz FM, but I’m sure we’ll be hearing that Global is launching a jazz station and Bauer a talk station before too long. I agree.I would have much preferred it if they had announced a station that was like the old radio 2 playing a lot of easy listening music and album tracks, much of it not heard elsewhere , from the last 70 years but without all that current chart stuff and hits from the 80’s and 90’s Radio 2 now plays which makes it sound like just another pop station a lot of the time to me these days. Remember Primetime Radio in the early days of DAB Radio, we could have something like that, that station played music like the old Radio 2, album tracks and easy listening music from the ’50s to the ’70s. Yes it will be a nice welcome return to the airwaves, as long as it plays ‘ original easy listening music ‘, not easy/lounge music commercial radio style. Sadly missed Primetime Radio. I would say Classic will have the upper hand as it’s on FM & Digital one but also not in mono. Bitrate? If it’s 64k MP3 or something they have no chance. UK DAB is hopeless for pop, let alone classical. They’ll need something like 128k AAC to make R3 listeners change. It won’t be 128k AAC, there isn’t enough capacity. The most you can hope for is 48k AAC+. I don’t think many Radio 3 listeners will switch, this is an entertainment & light classical station (similar to the old Radio 2). I suspect they’ll go with MP2 DAB. There’s a huge number of old digital radios (remember when we were told they were future proof?) including high end tuners owned by the target audience that can’t decode AAC. It’s been a while since I’ve seen such a poorly edited photograph such as the one featuring the presenters in this article. Mr Kermode looks like his leg is part of a chair. Speaking of the chair – which way is it facing? That said – I wish the station good luck. It seems like it ought to be a viable market to move in to. Spot on! A most curiously posed photo. Anyone else spotted the bare feet? Simon Mayo has already hinted that there is more than 1 new station being set up. Now we know what one is, it would be interesting to find out what the other is. Given the popularity of Downtown Country in Northern Ireland, maybe they are looking at expanding the format, although not necessarily keeping the name. More likely they’ll call it Absolute Country. Listeners would be better served by using online internet stations: better choice, much better quality, NO advertising. Examples : Classical WQXR, WDAV, Minnesota Public Radio. For Jazz there’s really only ONE : WBGO. Add to that list Michael, Radio Swiss Classic, announcements are in German or French, but only for about 10 seconds. Wonder what will happen around Christmas and Easter? – Classic is not embarrassed to play Christian choral stuff and this is where it has an edge over the more secular R3 at those times of the year. Will Scala try to follow their lead? Wish them luck whatever happens! Hmm? Here’s hoping that you’re not trying to appeal to the same Classic fm audience with an attention span of five minutes and a taste for ‘dessert’ music. Please, no further dumbing down of classical music! You could just listen to Radio 3, nobody is forcing you to listen to the commercial stations. Classic FM is far better than ‘stuffy’ Radio 3 and the listening figures prove it. If Radio 3 actualy played more music instead of boatloads of pretentious waffle in an attempt to turn it into an arts Radio 4 probably more people would listen. Classical music requires a good bit rate (bandwidth) to reproduce classical music, a hen’s teeth rarity on DAB! Simon Mayo forgot about the availability of Linn Classical, streaming from Lanarshire, Scotland at 320 mbps stereo MP3! Welcome back Simon! I wonder if he’ll open with an orchestral version daily of “Enjoy Yourself”…..
Heat on it,s own is dead in water & surprised they are to keep it on freevew. I do think a classical station is a good idea. But not in MONO!! & if it DAB+ it will sound horrible at 32kbs..
More choice as got to be good. So next can we have good talk station. Great news for Classical music lovers. Also good to see another National station giving us the best presenters. Lots of people are talking about bitrate. And it’s an interesting point. I must say, with my mobile when I’m on the go and my smart speakers at home, I can’t remember the last time I used my DAB radios. Even streaming via my phone in the car is pretty robust these days. Better sound quality and bigger choice. It’ll be interesting to see how DAB develops long term, especially among younger audiences. It’s great to see new services, though. The lower bit rate aac at 32kbs or 48kbs, I find rebust for mobile use & don’t, eat thought my data allowance. Plus sounds fine in the car. But for some strange reason 32kbs on DAB sounds not so good. Excellent news and good to have Simon Mayo, Mark Forrest and Jamie Crick on board but Angellica Bell? Surely they could find a better female presenter (or presenters). Yeah, but she has to do is read a script. Just delighted to have Simon Mayo back on the radio. Top quality who knows what a good radio should be. Serenade Radio (192 kbps bit rate) is the perfect antidote to the glut of boring output from BBC/Commercial radio offerings ! I never bother with DAB now, just stream in the car or at home. I agree ,classical musics dynamic range deserved to be heard in the best quality possible .Scala will be appealing to a niche market. No excuses Bauer,,we have Absolute in glorious MONO. It will most likely be 32k to allow for more pointless mind numbing stations in the future, so stereo but low quality so enjoy the artifacts…of course it should be at least 96kbps…dream on ! I hope that Scala plays a wider range of music than the generally repetitive stuff churned out by Classic FM. We have Lyric FM here in Ireland, great quality and a better library. It is nice to hear something different which sparks interest in a different area. For example, when did you last hear anything by Josef Suk on Classic FM? His brilliant Scherzo Fantastico is 12 minutes long and won’t be heard on Classic FM as they won’t play anything of any length that upsets their advertising schedule. Scala, please take note. 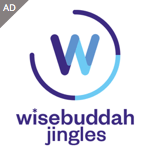 © 2019 - RadioToday. All Rights Reserved.